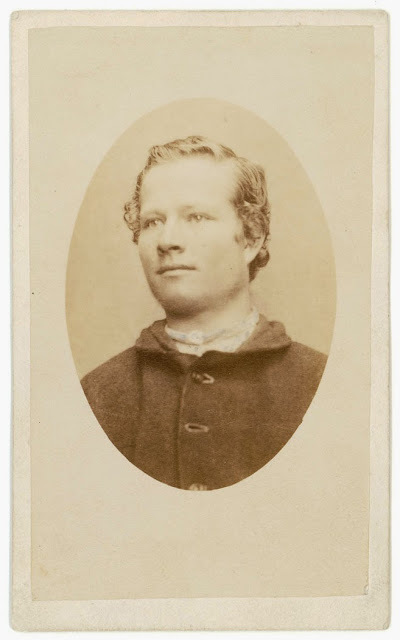 Above: William Ford, prisoner, booking photographs taken on 27 July 1886 when he was “disposed of by the Supreme Court”. 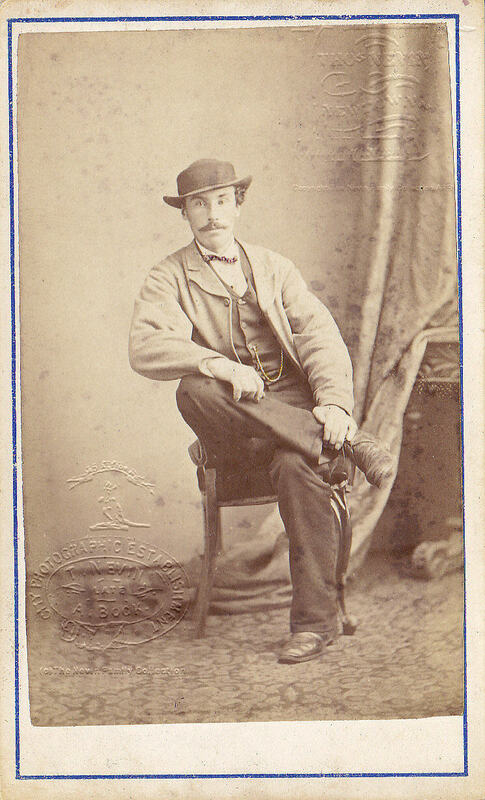 On the left, a semi profile photograph without hat, unframed; on the right, torso facing front, gaze deflected down and to left, wearing hat, framed as an oval carte-de-visite. 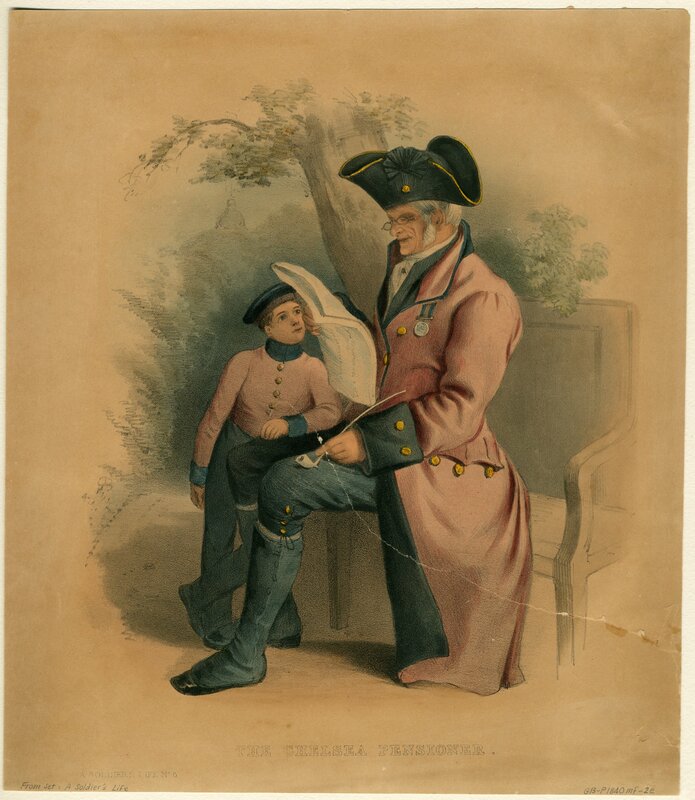 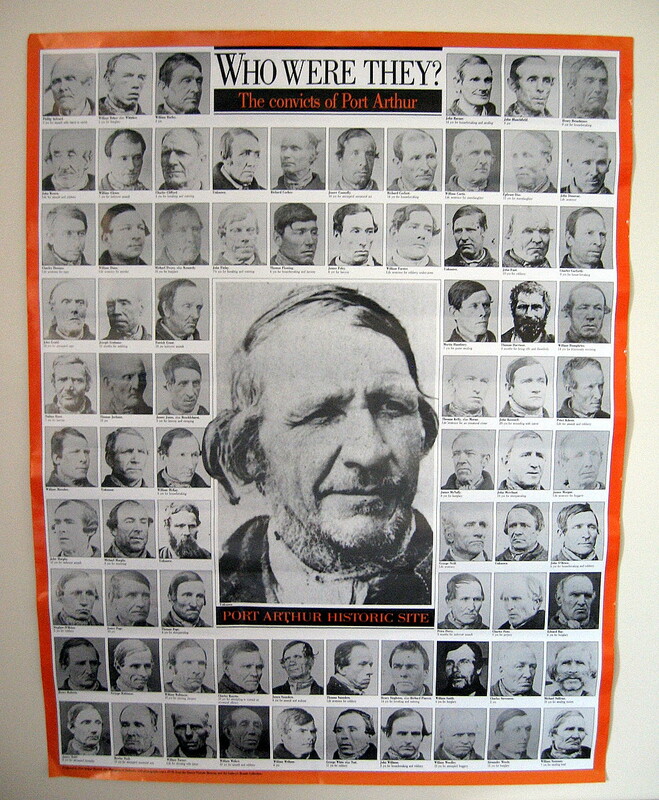 Photographed at the Hobart Gaol by Constable John Nevin, produced by Thomas J. Nevin for the Municipal Police Office, Hobart Town Hall. 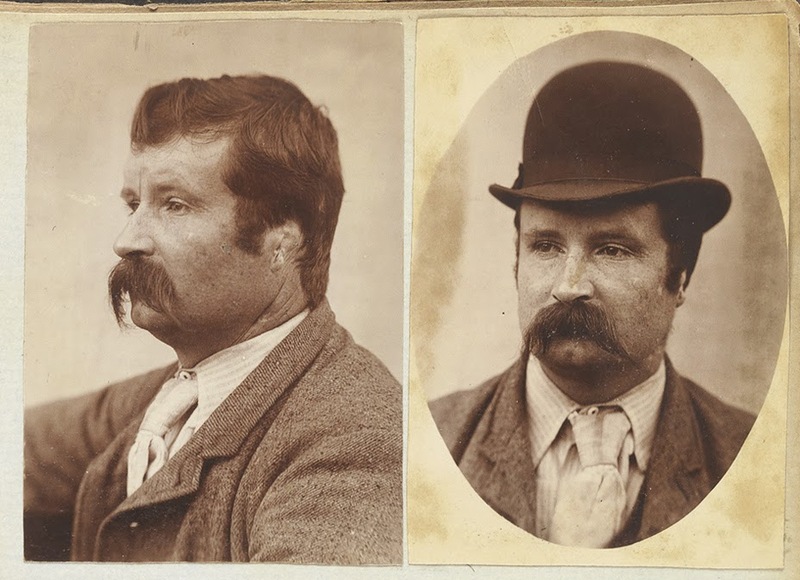 Both photographs were taken and printed within the conventions of 1870s commercial studio portraiture, typical of Nevin’s earlier mugshots of Tasmanian convicts. 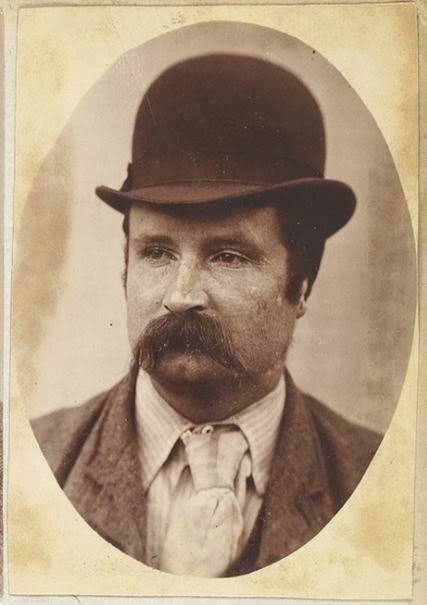 In 1886 Thomas J. Nevin was working with police in both capacities as photographer and assistant bailiff to Detective Inspector Dorsett, noted in The Mercury, 11 August 1886. 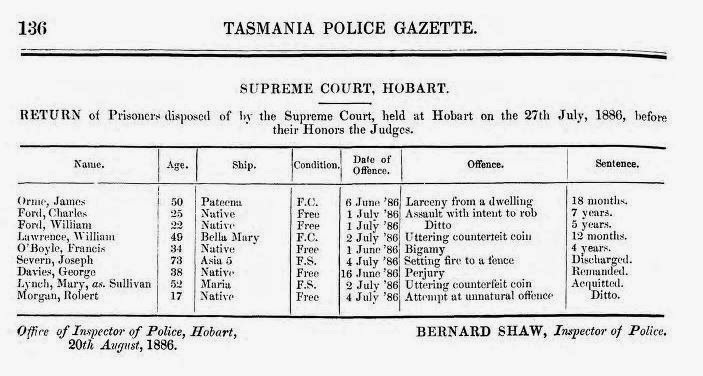 There may have been a different photograph of William Ford which was pasted to this criminal record sheet on incarceration at the Hobart Gaol, Campbell St, sentenced to five years for assault with intent in 1886. 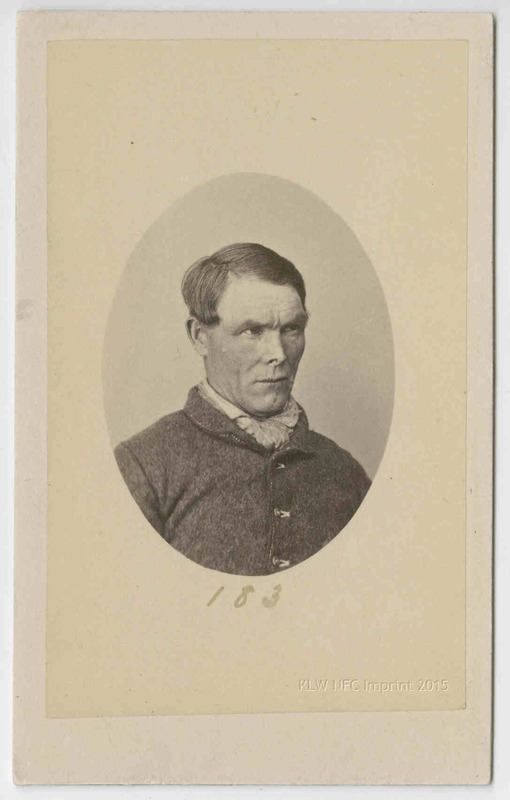 The photograph was removed at a date unknown by persons unknown from his criminal record for this offence, as can be seen. 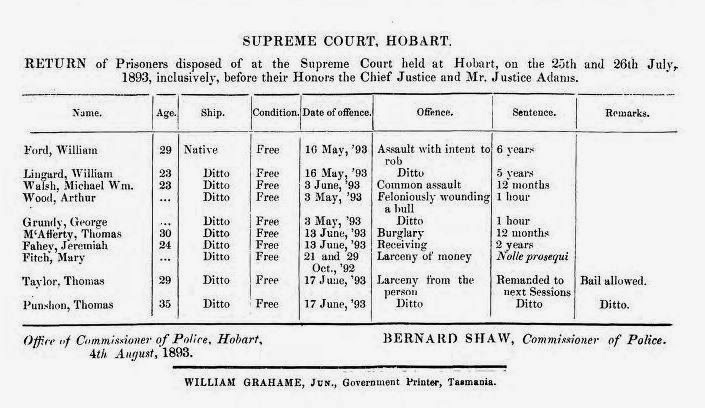 An interim criminal record sheet may have existed when William Ford was convicted again for assault with intent on 26 July 1893 within days of discharge, and sentenced to a further six years. 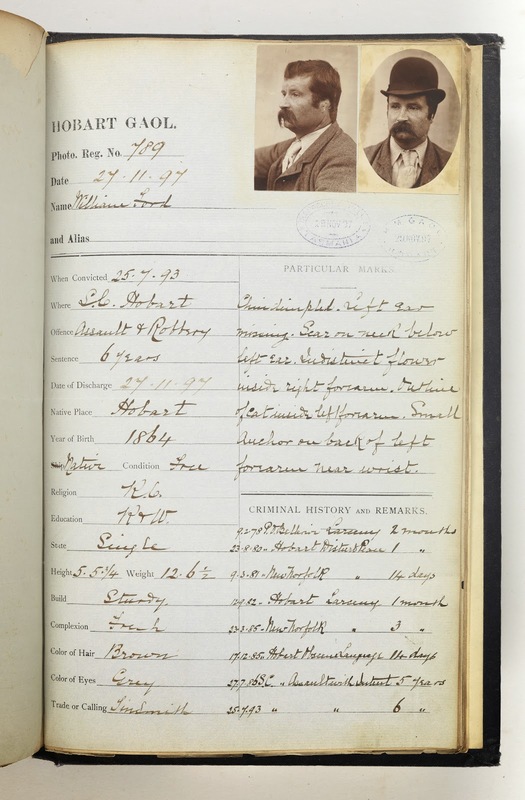 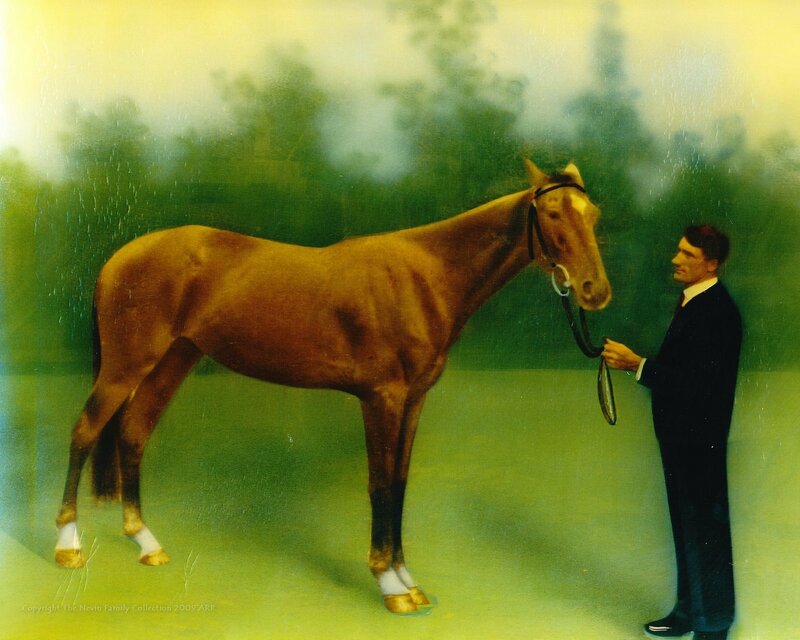 On the other hand, the extant two photographs may have been removed in order to be posted on the updated criminal sheet notated with his criminal offences on release in 1897 when he was 29 years old. 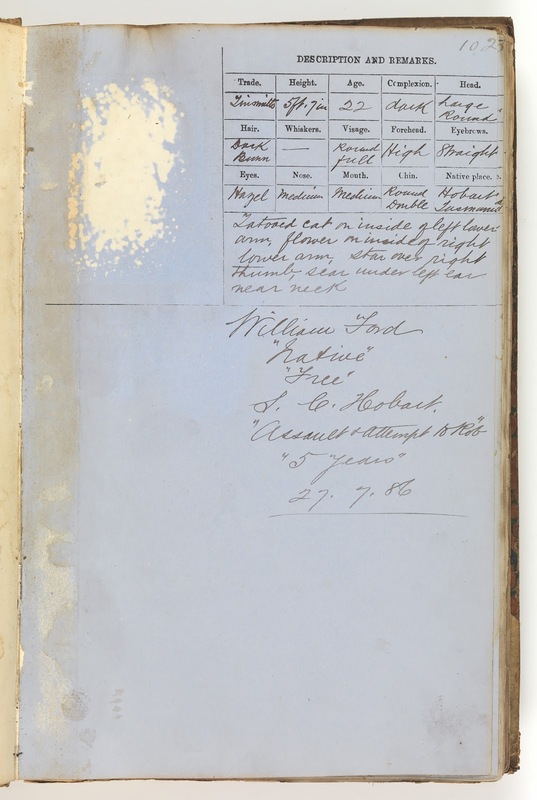 William Ford’s criminal record sheet dated 27 November 1897. 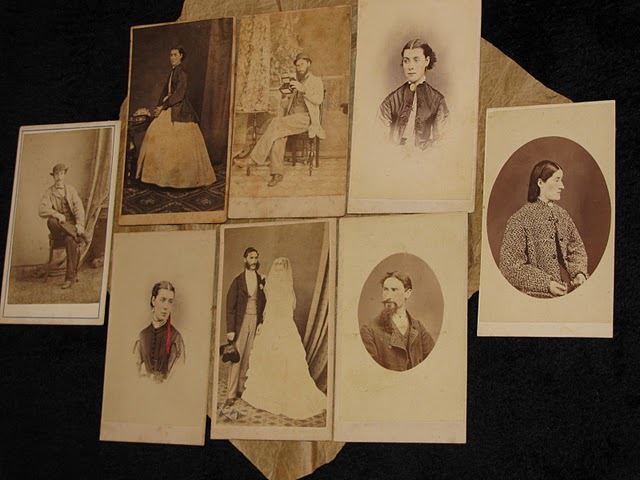 The last two entries show lengthy sentences of five and six years in 1886 and 1893. 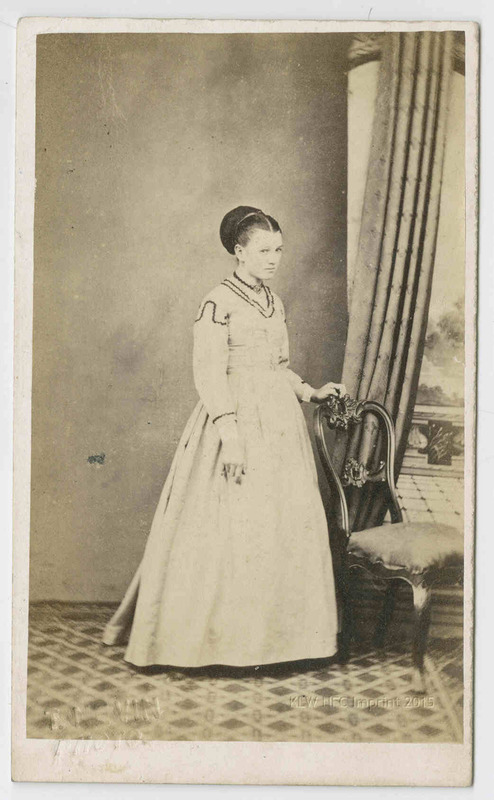 The printing of carte-de-visite vignettes of prisoner identification photographs in an oval frame was still a common format as late as the 1890s in Tasmania.